I am rerunning a few of my earlier posts over the next few weeks. This one, about loosening up and having more fun, was from April, 2014. Several years ago, I cut out and thumbtacked to the bulletin board in my office a section of an article about relationships. The article must have contained a list of “dos” and “don’ts” because this one was labeled “No. 16.” I have no memory of numbers 1 through 15, nor any that followed Number 16, but this one stopped me mid-read, and prompted me to get up and grab my scissors. On the 1950’s sit-com I Love Lucy, Ricky and Lucy Ricardo had very different ways of approaching life. Lucy was always doing crazy stuff and getting into trouble. Ricky was always there to bail her out of whatever disaster she got herself into. The premise of Number 16 was that people tend to either be Rickys or Lucys. Rickys are practical, responsible, and live life relatively conservatively. In a relationship, they are the caretakers; the ones who make sure the bills get paid, the finances are in good shape, and plans are made and followed. Lucys, on the other hand, are crazy, fun-loving, and charmingly irresponsible. They have a “live for today” attitude. They are the ones who are out having fun and not paying too much attention to the consequences. Number 16 warned about being a Ricky (who is stuck being responsible) while your partner is being a Lucy (forever starry-eyed, wacky, and impractical). One person is Homer, and the other Marge. One is Hans Solo, the other Princess Leia. The message was that one was having way more fun than the other. I have a dominant Ricky gene. My husband also is a Ricky. We know how to have fun, we enjoy being silly, we even can be pretty creative (after all, Ricky Ricardo was an accomplished singer and bandleader) but, for the most part, we have a vision of what we want to accomplish and we take the steps necessary to get there. Most likely, being Rickys throughout our working lives has helped us get where we are today: being able to retire relatively young. That’s not to say that Lucys are all screw-ups who have great fun but are ultimately destined to be financially unsound or be dependent on Rickys to save them. Some people I love and admire are Lucys. I imagine that many brilliant multi-gazillionaires are shoot-for-the-stars Lucys. Who knows, when I decided to cut out and keep that article, if I had been more of a Lucy I may have had the crazy idea to create some sort of an online bulletin board that people could, I don’t know… maybe “pin” interesting items to. And, throwing caution to the wind, I may have sold everything and taken out ill-advised loans to fund that insanity… that I might have cleverly named Pinterest. My husband and I got where we are today by saving more than spending, economizing more than splurging. That’s not to say we haven’t had great adventures or wonderful experiences, but we have said “no” to opportunities more than we would have liked, and probably more than we needed to. Suddenly becoming total Lucys is probably not possible or desirable. Rickyness is in our DNA, and that’s not a bad thing; it will most likely keep us out of trouble as we get older. But I think we have reached a point in our lives when we should start channeling our inner Lucys regularly. We need to say “yes” more often, seek out some crazy adventures, and do a few marvelously impractical things that may leave the Rickys out there scratching their heads. 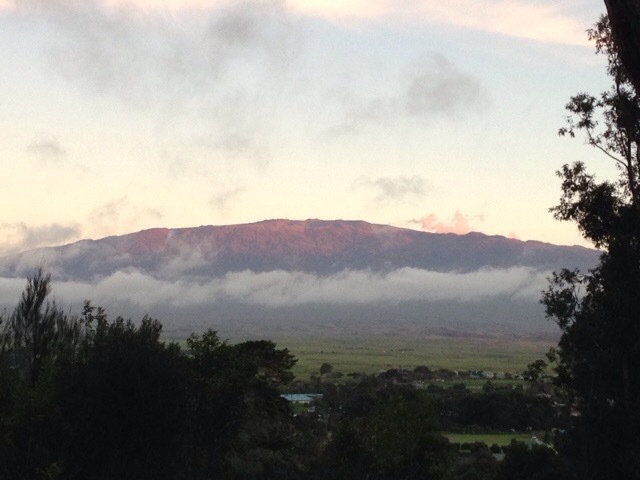 Mauna Kea, one of the five volcanos that form the island of Hawaii, stands 13,796 feet above sea level. 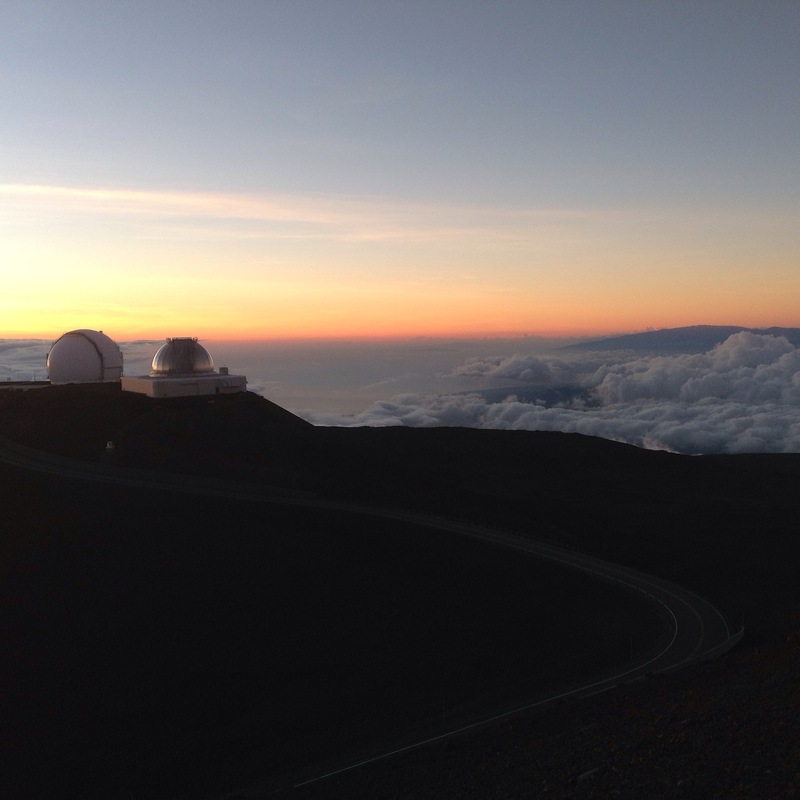 From its base, which in 17,000 feet below sea level, to its peak, Mauna Kea rises over 30,000 feet – more than twice the height of Mount Everest. The volcano’s last eruption occurred over 4600 years ago. It is currently dormant but scientists expect there is another eruption in its future. Although all of us will be long gone when this happens (it could be tens of thousands of years from now) it should be quite a show! 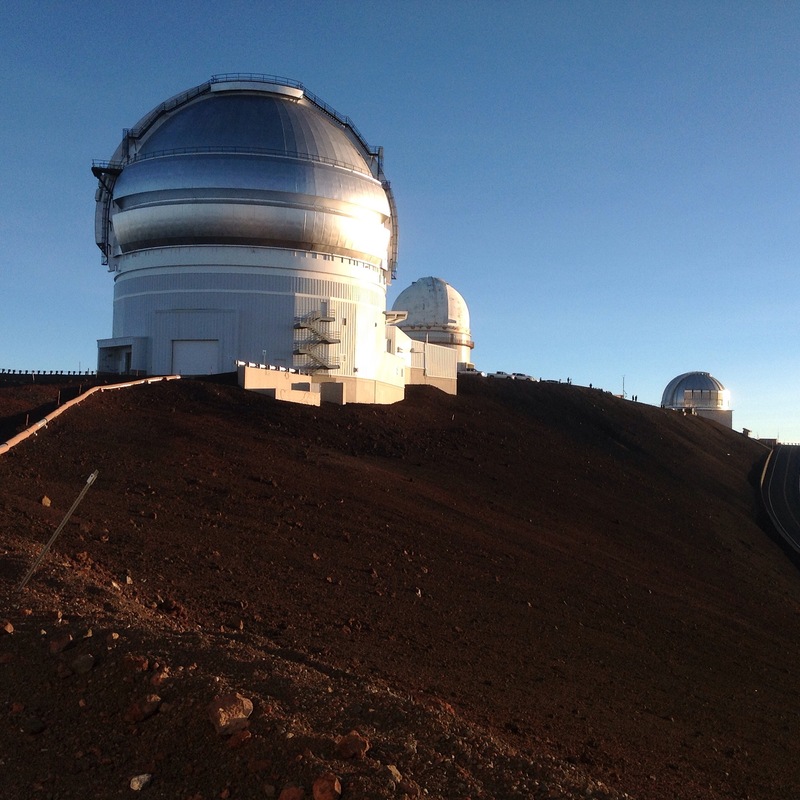 Because of Mauna Kea’s high altitude, dry climate, and stable airflow, its summit is home to over a dozen telescopes. It is considered one of the best locations in the world for astronomical observation. Other than from an airplane, we don’t usually get to observe clouds from above. 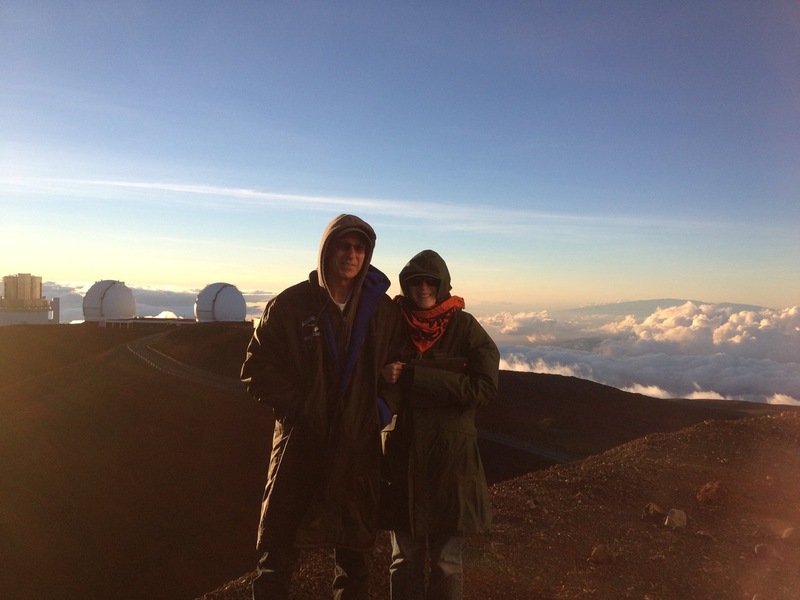 The view from the summit of Mauna Kea is incredible – the vista, the clouds, the sunset, and then the amazing night sky filled with stars – and I will always be grateful to have had the opportunity to see it for myself.